ERS Services: Full service is our hallmark—we service furnaces and incinerators of all designs and manufacturers. 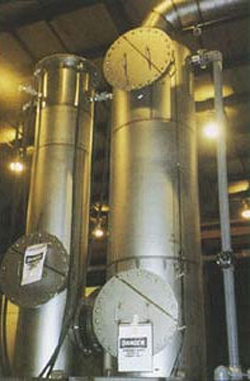 Our ability ranges from control function troubleshooting to refractory repair and routine maintenance contracts to maintaining system reliability. Our service staff and engineering staff work hand-in-hand to implement equipment design improvements that overcome problems experienced in the field as new regulations are implemented and as process requirements change over time. to comply with new constraints. Our goal is to be able to respond rapidly and efficiently when service is required to allow our customers to keep their equipment on-line. ERS Services stocks many of the typical spare parts required for the day to day maintenance of combustion equipment and incinerators. Our staff is available to search for parts which are out of the ordinary and expedite their delivery to return your equipment to full operating condition as rapidly as possible. When a critical part on your system fails and the replacement is not immediately available, our staff can normally devise a means to temporarily overcome the problem and keep your system operational until parts can be received and installed to bring your system back into full design operating conditions.